Although 2017 showed phishing attacks third on the list of dangerous threats to security, a recent global report shows some employers shifting to attacks as their primary security focus. The Webroot SMB Cybersecurity Preparedness report shows 48% of SMB’s (small-to-mid-sized businesses) believe phishing is the top threat to their cyber-resilience, while 45% feel they’re vulnerable to DNS (domain name system) attacks. Ransomware moved into the fifth place concern, compared to third place from 2017 to 2018. It’s no surprise that cyber-resilience is a multi-layered concern for SMB business owners – and for good reason. A report by the National Cyber Security Alliance discovered over 70% of cyberattacks target small businesses. Worse, almost 60% of SMB’s go out of business within six months of an attack. That’s a very real threat for SMB owners, who according to the Webroot report, are now focusing on phishing attacks as the greatest perceived threat to their future. 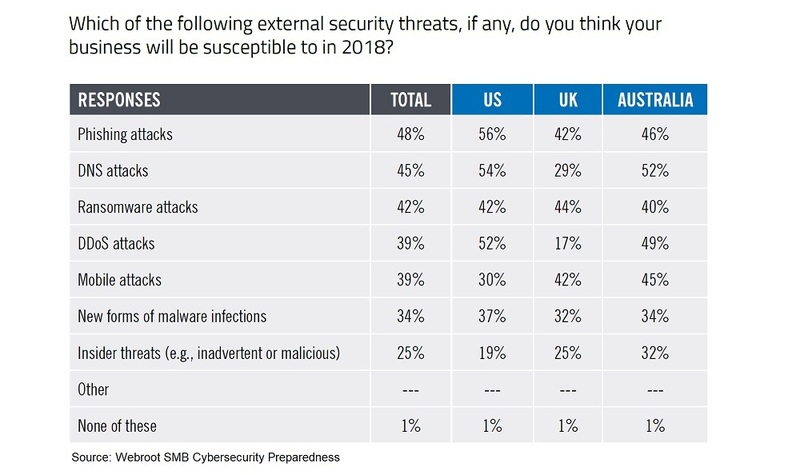 Webroot’s report surveyed SMB owners in the U.S., UK and Australia on several cybersecurity issues. The most promising result was overall all three countries claim that nearly 100% of employees are educated about security threats. However, that number starts to unravel in several ways. In total, 39% of SMB’s provide continuing employee cyber education, with the U.S. topping the chart at 54% providing ongoing education. Of all three countries surveyed, the U.S. ranks phishing as 58% of their worries, with the UK claiming the lowest concern at 42%. DNS attacks rate second (48%) after phishing, with ransomware coming in third (42%). All three attacks pose serious threats when employees are involved. It’s clear that perceived threats to SMB’s change over time and will no doubt swap places again in the future. Revolving threats may alter SMB’s priorities, but no matter what order they take, all cyber threats are serious liabilities. It’s clear that cyber-resilience for any size company requires a concerted effort by employers. Continuing employee education and bolstering data systems are prerequisites for cyber safety, particularly for the most vulnerable SMB’s. 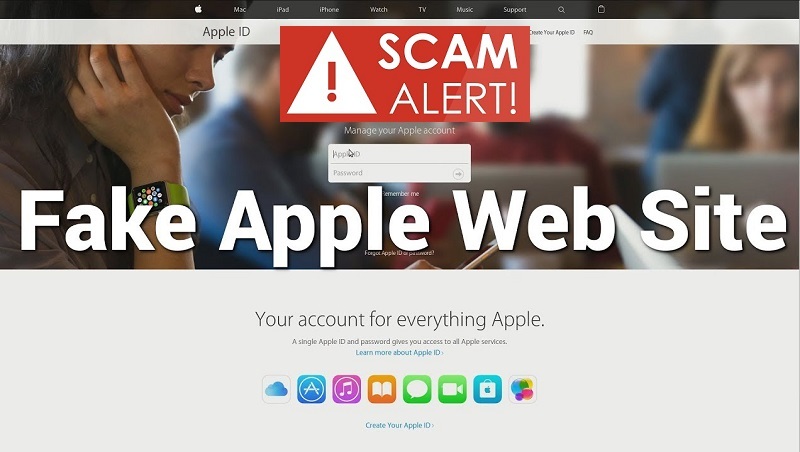 Awareness is key to avoiding phishing. There are many ways to ensure that everyone in your organization is not only aware of the threats, but how to avoid them is no longer an option; but is a necessity. And the bonus is that doing this can help alleviate some of that worry about phishing. Unless you’ve been under a rock, you know that email phishing is a favorite and effective hacker tool worldwide. 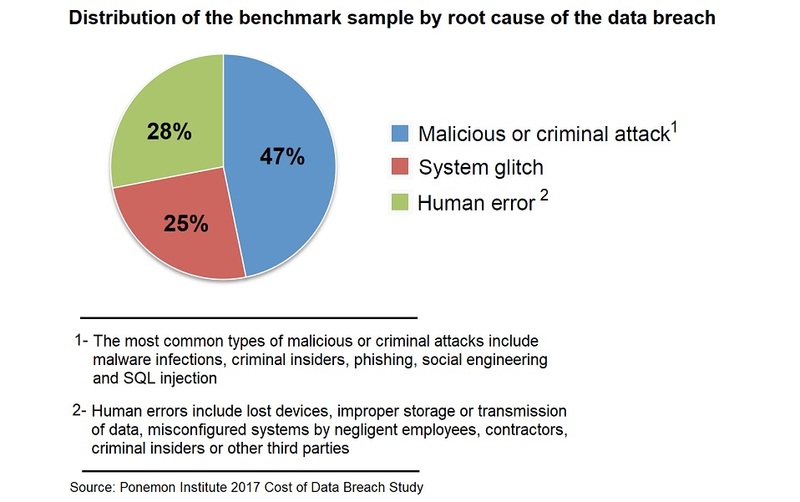 A report by the Ponemon Institute and Keeper Security finds negligent employees are the #1 cause behind data breaches at small-to-medium-size businesses (SMBs), and phishing emails are the #1 form of attack on those employees. According to the U.S. Securities and Exchange Commission, 60% of SMBs are out of business within six months of a security breach, and email phishing is a growing source of those data breaches. Symantec’s “2018 Internet Security Threat Report” estimates that one of every 412 emails contains malware; a big drop from 2017's 1 in 131. This is very positive direction that can be attributed to IT efforts across all business types. The down side is that thousands of emails are received daily by most companies, so the job is far from over – all it takes is one employee misstep to unleash a world of hurt on a company and its data. 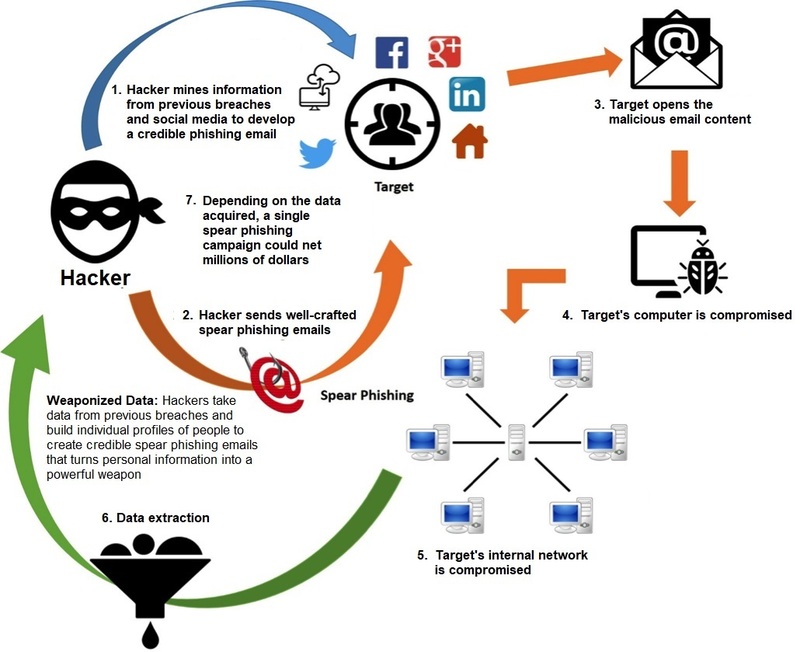 Knowing the signs and shapes phishing emails take is a huge part of workplace data security. Both employees and employers who know take proactive steps toward a cyber-safe workplace. Never assume an email is trustworthy just because it’s from a co-worker or internal department – it’s very easy for hackers to disguise emails. 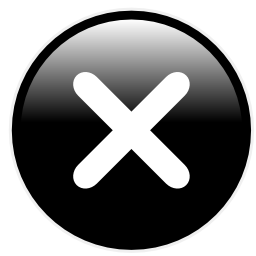 Carefully check the email address or URL of the sender and be aware of spelling and grammatical errors in email text. If you see a suspicious email from a known sender, ask them directly if they sent it – better safe than sorry. Look for generic greetings like “employee” or “customer.” Most phishing emails are sent to tons of people at the same time and don’t address employees by name. 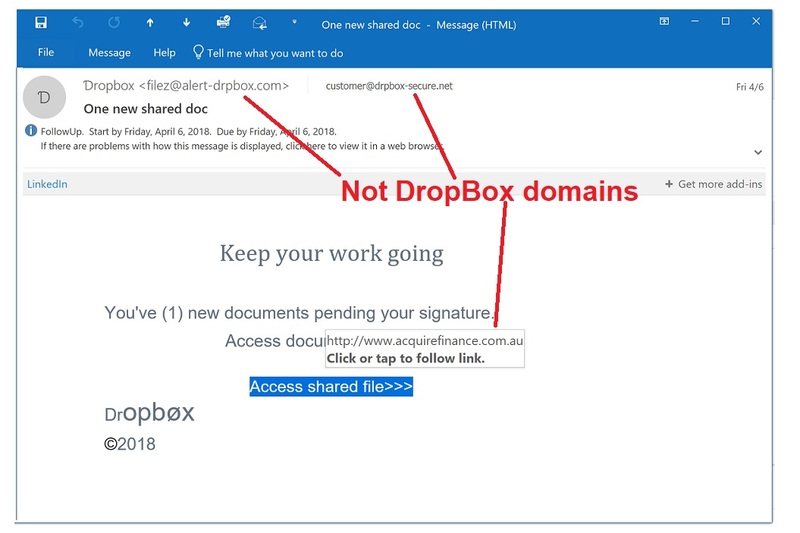 Beware email attachments using suspicious file extensions like .exe, .pptm and .docm. Any extension out of the ordinary is suspect, but no extension is guaranteed to be safe. Emails asking for immediate action or are aggressive about getting a response are hacker favorites. They rely on scare tactics to get your attention and open them – you’re one step away from clicking on a malicious link. Immediately report suspicious emails to the IT department or those responsible for online security. 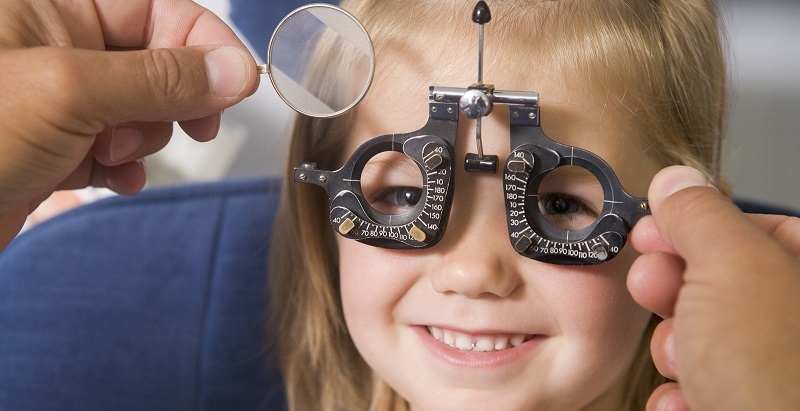 Making them aware enables them to block and investigate senders. Conduct ongoing employee cyber education. Address the latest phishing and other hacking tactics and make mock scenarios part of the training. Then, re-test employees so you know where improvements need to be made. Enable spam filters to recognize emails from suspicious sources. 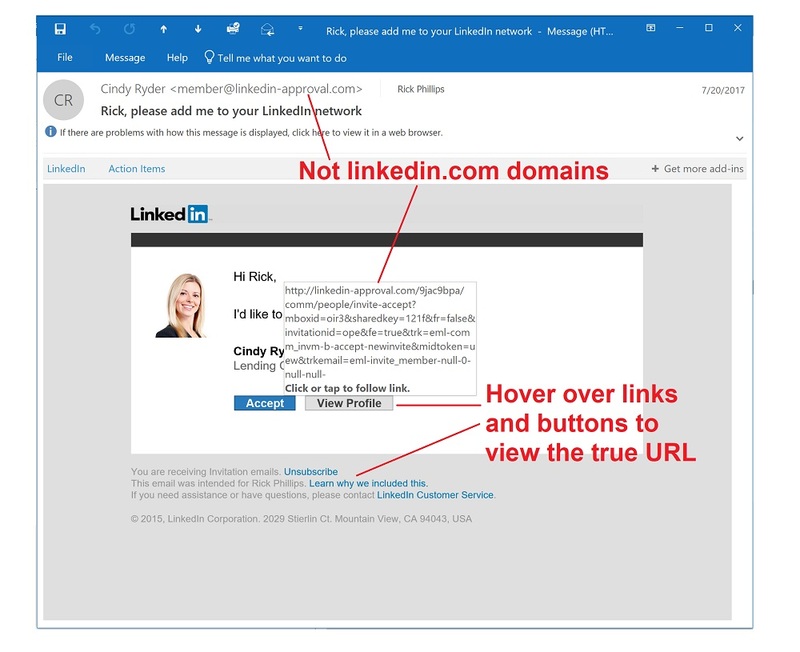 These filters can block and prevent phishing emails from ever reaching employee inboxes. 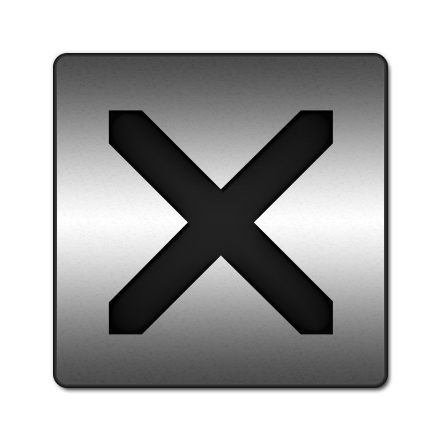 Use a web filter to block malicious websites and always encrypt sensitive information. Always use two-factor authentication, especially for employees whose credentials have been compromised. Keep data systems up-to-date and apply security patches and updates as soon as they’re available. While many people are familiar with the term Phishing, this course will give you a much deeper understanding of how cyber criminals are successful and what you can do to avoid falling victim. 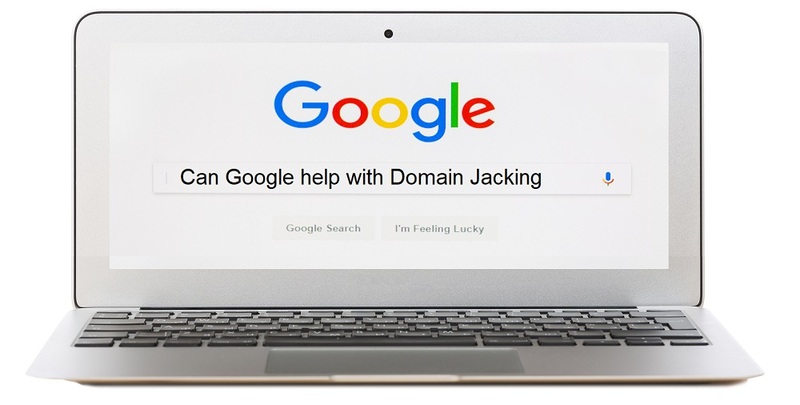 Included in this course are examples of Phishing techniques used by cyber criminals today and tips you can incorporate to detect them. After years of being cybercrime victims, corporations have been fighting back with enhanced cybersecurity measures. 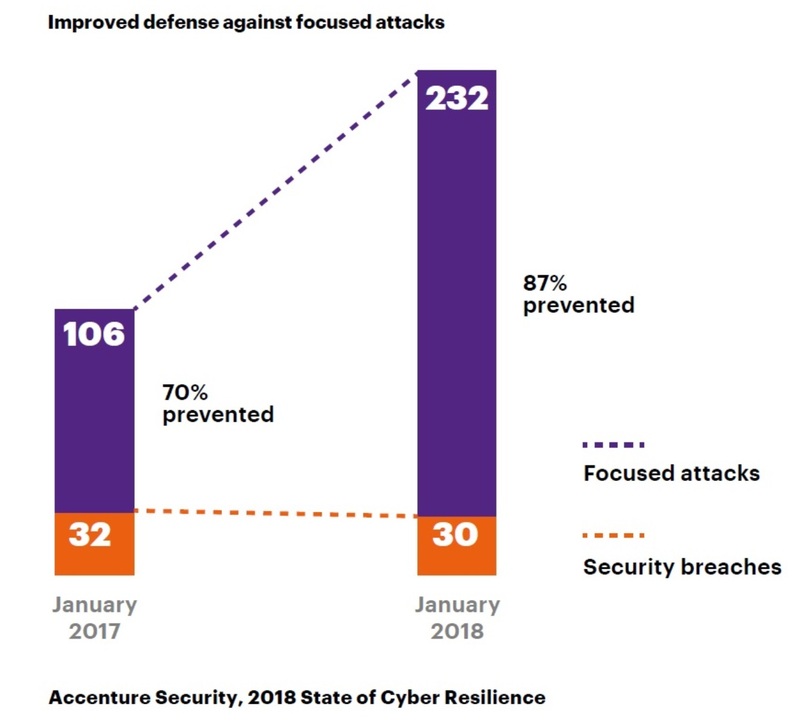 According to a recent Accenture study, 2018 State of Cyber Resilience, the good news is that it’s beginning to pay off. Organizations report that 87% of cyberattacks are now prevented, but they still face two to three hacking attempts per month. This success is a result of many factors including improved awareness for CEO’s and financial investments in cybersecurity. The findings show 32% of cybersecurity funding comes directly from CEO’s while 27% is appropriated by the board of directors. Although cyber resilience is gaining ground, savvy CEO’s know their commitment to cyber safety is an ongoing challenge. With (per Identity Management Center) government reports and industry studies showing 90% of employees unknowingly providing hackers with access to their credentials, educating staff is a monumental part of cyber resilience. Experts and consumers alike know the evolving war on cybercrime is multi-faceted and showing no signs of slowing down. With cybercrime doubling since 2017, the future security of corporations and their patrons may be now or never. Just over a year ago, one in three targeted cyberattacks were successful. The study reveals that due to increased efforts, those numbers now show a significant improvement. Currently, only one in eight hacks get through, showing that dedication to cyber resilience is working. C-suite leaders are getting on board knowing just how much they have to lose. The study shows 90% of organizations commit to providing more resources for cybersecurity over the next three years. While that’s a good thing, only 31% believe their investment will be significant – double or more. With 60% of small businesses going out of business after a hack, CEO’s are realizing that planning how to survive an attack is as important as working to prevent them. As a result, responses to successful attacks are improving. One of the crippling effects is the length of time it takes to bounce back from a hack. Whether it’s ransomware holding data captive or the overtaking of entire systems, many businesses are left waiting for weeks and sometimes months to return to business as usual. Smart cyber planning provides the ability to quickly rebound and focus on other issues like restoring damaged consumer confidence. Looking toward the future, 83% in the study believe investment in new technologies like artificial intelligence are key to securing their future, but only two out of five are actively pursuing these options. Ultimately, cybersecurity experts believe businesses can become cyber resilient, which in turn strengthens future growth potential and the all-important consumer confidence. That decision requires dedicating significant resources as a way of doing business and CEO’s know that consumers are counting on them for protection. The future success of a company may very well hinge on cyber resilience including employee education. There are growing expectations of consumers for protection by the company they do business with – a very reasonable request. The Internet has become a way of life for most of us. While it might be a breath of fresh air to be “off the grid” for a period of time to rest and reset, it really is difficult to think of not having it available to us at the touch of an app. Because of this, cybercriminals are also finding ways to use it to scam us out of any number of things including to steal our information, to make money or steal it, or even just to cause a disruption in our day. Last year, there were a reported 6.2 million incidents of cybercrime in the United Kingdom (UK) alone. That’s a lot of trouble being caused using the Internet. Here are several reasons that cybersecurity is more important than ever going forward. Viruses and malware are more sophisticated and complex than ever. First, it helps to know the difference between viruses and malware. 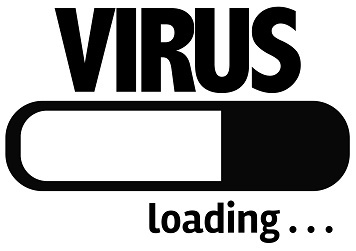 Viruses are a specific type of malware that is designed to replicate and spread once it’s executed. Malware is a broad term that includes viruses that describes all sorts of malicious programs that are designed to do just about anything. Malware includes, but is not limited to viruses, spyware, ransomware, adware, trojans, worms, potentially unwanted products (PUP), etc. This is why having an anti-malware product installed and kept updated is so important. The major vendors provide products that cover pretty much all of it to one degree or the other. Shop around and find what works for you. Scammers are getting better at tricking us into opening malicious attachments or clicking malicious links. Far gone are the days when it was immediately obvious that an email message was phishing. The scammers are becoming so well-versed at copying logos and language, pretending to be colleagues, and generally making us feel comfortable that we don’t hesitate to open these dangerous files. In fact, a study by Avceto showed that if we think a link or attachment comes from a friend, such as from within social media, we don’t even hesitate to click it. Scammers are even placing phone calls to gain information to scam us (called vishing). Always take some extra seconds to be 100% sure that whatever you receive in email, by text, or even on the phone is not trying to phish for information. It’s still important to look for those tell-tell signs of phishing, but if you don’t recognize the sender or if you are not expecting a link or attachments, either trash the message, hang up the phone in the case of vishing, or take some time to verify its legitimacy before going further. So far, 2017 has been the worst on record for data breaches. A recent Risk Based Security report found that in just the first quarter of 2017 there were over 1,200 data breaches. This is on target to be the worst year for data breaches ever. We have already seen compromises at Kmart, OneLogin, Intercontinental Hotels Group (IHG), Chipotle (again), DocuSign, and Gmail to name just a few. It’s hard to secure your own data once you give it to others. However, there are some things to be done to help. These include actively monitoring payment card charges and reporting suspicious charges immediately. In addition, get a copy of your credit report from each of the three major reporting agencies every year. Review it closely and report anything that is incorrect or suspicious to them and clear it up as soon as possible. At the website annualcreditreport.com, you can get a free one from each of them individually. For extra caution and to address anomalies sooner, stagger when you order them so you can keep an eye out throughout the whole year. You can also set charge limit notifications on most payment cards. If you normally don’t spend over $50 in a transaction, activate a notification to be emailed, sent by text, or by phone any time a charge over that amount is made to your card. You can also set these for balance limits. 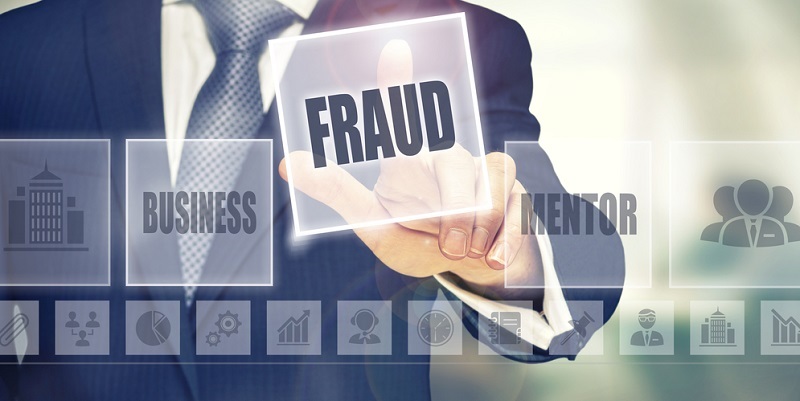 This will help identify potential fraud as soon as it happens. 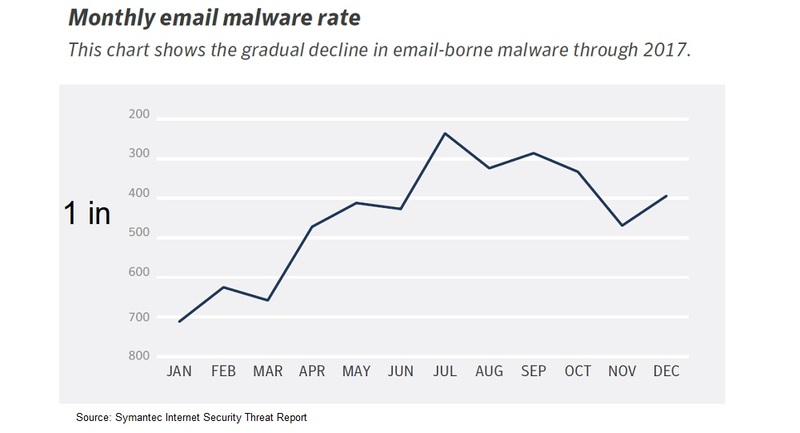 Business email compromise (BEC) is on the rise and expected to continue. The FBI continues to warn businesses of this rising crime. The number, according to the last PSA issued by the FBI’s Internet Crime Complaint Center (IC3) has exceeded $3.1 billion. 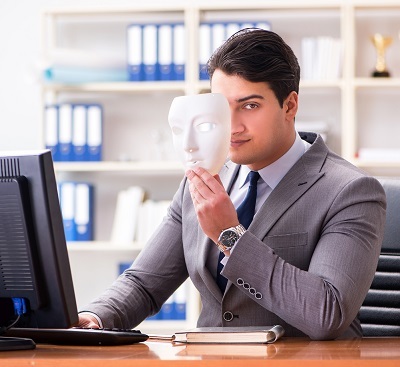 This crime happens when someone in an organization is tricked into sending sensitive information, such as W-2 data to someone impersonating a colleague. Often, they pretend to be an executive. It also occurs when someone with access to perform wire transfers is tricked into wiring money to a thief’s account. Again, an executive is often impersonated to perpetrate this. There should be checks and balances in place at any organization for performing wire transfers. At least two sets of eyes should approve each request. Pay attention to requests for this task and if the request seems strange, question it. Any executive would prefer that than have money stolen from the company. In addition, sensitive information should never be sent via email. Email is not a secure form of communication and even encryption can be broken. Therefore, consider any email fair game for anyone on the Internet to read it. If you need to get sensitive information to someone not co-located, use a traditional courier or the telephone. Cybercrime isn’t going away any time soon. Unfortunately, sometimes it seems that the criminals just want to cause us a lot of grief. For example, in the recent WannaCry outbreak where a lot of business was disrupted all around the world, the thief or thieves only made out with about $50,000. 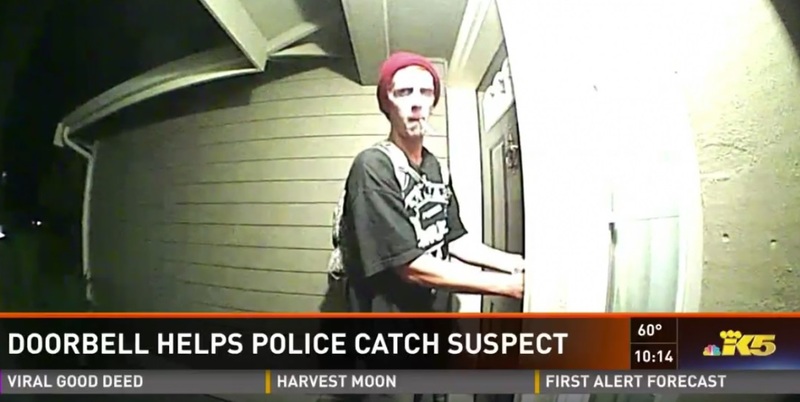 So, if you’re on the Internet, being proactive can help protect against these types of crimes.